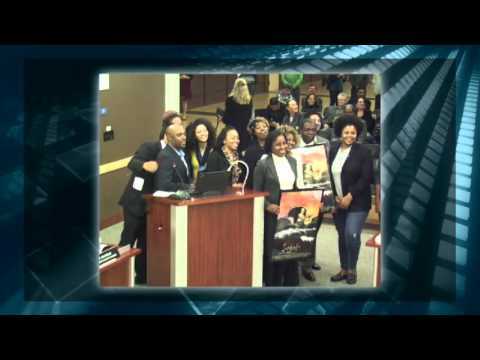 At the November 10, 2015 meeting of the Peralta Colleges Board of Trustees, Proclamations were issued honoring David Harper, first African American jury foreman of a major murder trial. Student leaders reported back from their visit to the Congressional Black Caucus. And Deputy Chancellor Gravenberg and the College President provided reports on Accreditation. The Peralta Colleges Board of Trustees meet the second and forth Tuesday of every month. All meetings are open to the Public, and are broadcast LIVE on peraltaTV and KGPC, 96.9 fm. Past meetings are available for viewing here.